The Irish Farmers Journal is a weekly farming newspaper sold in Ireland. It is the best selling farming newspaper in the country selling to over 247,000 readers per week and circulation of 69,050. Through the weekly message of progressive farming skills, news, and technology, that the ‘bible’ is best known among farming households and agri-business circles. 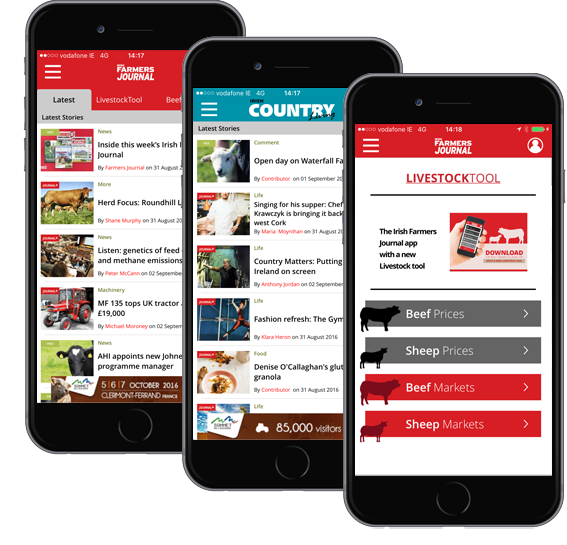 Over the past 25 years, The Agricultural Trust, owners of the Journal, the Irish Country Magazine and The Field have built their publishing, their digital presence and their Client Management Systems around the solutions provided by iGuide. This solution developed using our iPublish product, provides and end-to-end automated publishing solution, allowing the content traditionally been published on paper to be available to anyone, on any device at any time minimising administration, design and technical skills. The solution also supports a comprehensive subscription module, which is integrated into both our CRM and their existing payment system. Our solutions provide the complete automated publishing requirements for both the print and on-line content. With over 230,000 unique users and 480,000 sessions (web & App in Jan ’16), the solution is continually evolving to accommodate all elements of the existing and digital business models.